Construct the tallest building by selecting one of the options in class. Recreate the Empire State Building with this 3-D activity. Visit the Empire State Building – Virtual Experience. Learn at the Skyscraper Museum. Where is the Tallest Building? Challenge #1 Research a structure and post interesting information about this structure to the blog post on this page. Include a link and photo and explain why you selected this structure. Do not choose the same as a classmate. Challenge #2 Research one of the following architects: Mies van der Rohe, Phillip Johnson, I.M. Pei, Minoru Yamasaki, Cesar Pelli, Helmu Jahn, David Childs, or Richard Cook*. Challenge #3 Create a scale drawing of your classroom. Make adjustments to your drawing for your teacher. The final drawing will be used for the cleaners this summer when the classroom is reconstructed. The Chrysler Building is one of the tallest buildings in the world. It is still the tallest brick Building standing today. It was completed in 1930 and has 77 floors. I picked the Chrysler Building because it is one the tallest buildings in New York city that people think it is not that famous. The home Insurance building was the first skyscraper.It was made in 1884 and was demolished 47 years later.It was 138′ tall and it was in Chicago,Illinois. I chose this because I wanted to learn about the first skyscraper that I never knew about. The Petronas Towers are 1483 feet / 452 meters high! It is the 2nd to highest tower in the world. The Petronas Towers are located in Kuala Lumpur, they are twin towers. They remain the tallest twin towers in the world. They were the tallest buildings 1998 though 2004 according to the Council on Tall Buildings and Urban Habitat. The towers were designed by Argentine architect Cesar Pelli. I chose these towers because i’ve never heard about them before. I wanted to learn about something new today. The Willis Tower or Sears Tower is a 1,450-foot tall, 110 story building the Sears Tower is the second tallest building in the USA just 325 feet less than the Freedom Tower. The Willis Tower was made by Fazlur Rahman Khan. The Sears Tower is located in Chicago,Illinois. I chose this skyscraper because I thought it looked like an interesting building to research. The CN Tower. CN stands for Canadian National, the railway that built the tower. The CN Tower located in Toronto Canada is the 9th tallest tower in the world, it has about 2 million visitors per year. I chose to do this skyscraper because when I was younger I read a book about the CN tower. The Taipei 101 is the 5th tallest building in the world.It stands at 1667 feet tall and is in Taipei,Taiwan.It displaced the petronas tower (by being taller than it) in 2004 and is taller than it by just about 187 feet it also was opened in 2003. The World Financial Center is currently known as the Brookfield Place. It is a group of six buildings located in Battery Park City in lower Manhattan. It was designed by Cesar Pelli in 1988 then rebuilt in 2013 and named the Brookfield place. The tallest building has 51 floors which is the American Express tower. I chose this building because it represents the (world). 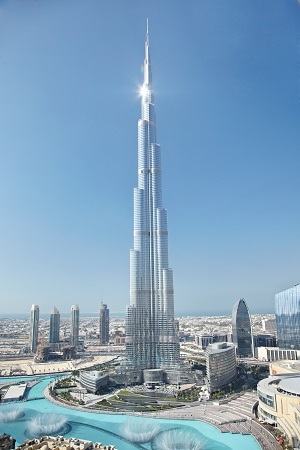 The Burj Khalifa in Dubai is 2,716.5 feet tall and 160 stories. It is the tallest building in the world, and it has broken many other records. It took six years to build from 2004 to 2010. It was designed by Adrian Smith at Skidmore, Owings & Merrill (SOM). I chose this skyscraper because it has broken many unbelievable records, and it only took six years to build a skyscraper this high. 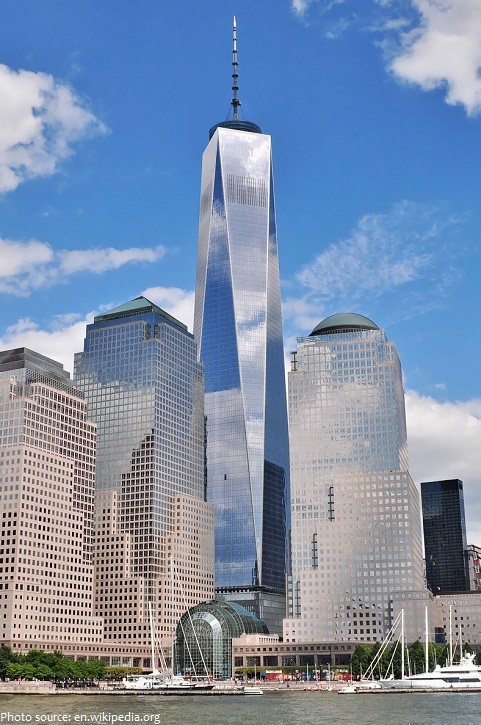 One World Trade Center (Freedom Tower) is 1,776 feet tall and is the tallest building in the Western Hemisphere. It is the 6th tallest tower in the world. David Childs is the architect of the building. It takes its name the NorthTower of the original World Trade Center. I chose this building because it restored hope to America. The Princess Tower in Dubai, United Arab Emirates is 413.4 m which is 1,356 feet and has 101 floors. They started it in 2005, and finished in 2012. It is a residential only skyscraper. Once it was finished it was the tallest residential tower in the world but it is no longer the tallest today. The reason I chose the Princess Tower was because it is residential only. 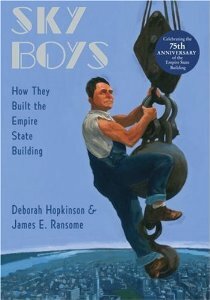 The Construction of the empire state building started in March 17,1930 and the empire state building was opened on April 11,1931.The empire state building only took one year and 45 days.